MONTRÉAL, Feb. 1, 2019 /CNW Telbec/ – This past November, the Sanexen Water, Inc. (“Sanexen Water”) team completed a challenging project to rehabilitate almost 2 miles of an old water main pipe running beneath picturesque Beach Street in Foxboro, MA, one of the main access roads to the Gillette Stadium, home of five-time Champions, the New England Patriots. 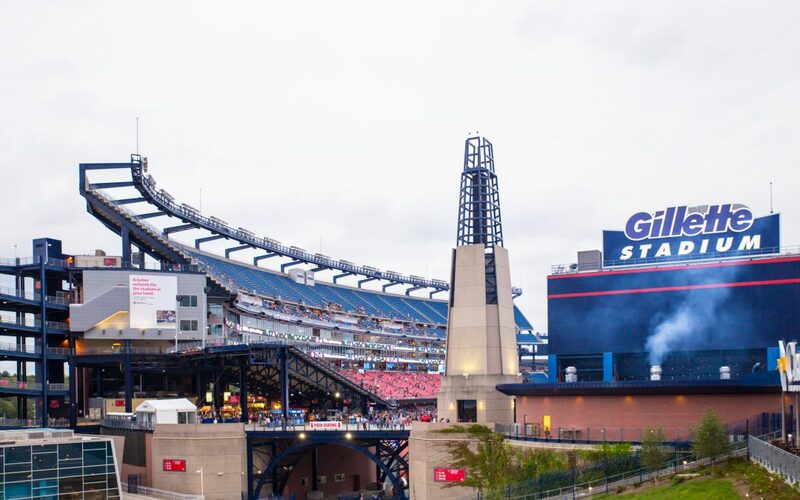 Luckily for the Patriots and their fans who flock to the Gillette Stadium each game, the Town of Foxboro had the foresight to develop a long-term asset management plan to renew its water infrastructure. They worked closely with Sanexen Water’s experts to implement Aqua-Pipe technology, a less costly, less disruptive, more environmentally friendly solution, and maintained critical access to Gillette Stadium throughout. What is remarkable about this project is that the work was completed in just two weeks using Sanexen Water’s green Aqua-Pipe trenchless technology to address the timing and environmentally-sensitive situation they faced – to keep the Gillette Stadium accessible especially leading up to the playoffs, to ensure minimal disruption to the water service to the 80 homes along Beach Street, and to give special consideration to sensitive water and wildlife eco-systems, such as the Neponset Reservoir located nearby. Very simply put, a typical open cut dig would have cut off access to the Stadium for months during a very critical time for the Patriots leading up to the playoffs – the road would have been closed; the old pipe dug up and removed; the new pipe installed; and then, the road and sidewalks would have been repaved. Instead, the City of Foxboro Water Department chose Aqua-Pipe’s green technology where entry and exit pits are excavated at each end; robotic pipe-cleaners clear out inside the old pipe; Aqua-Pipe liner is fed through the pipe; hot water is then used to expand and cure the new pipe in place; the ends are reconnected and water service resumes. Not only is this solution less disruptive and more cost-effective, it has been calculated that for each mile of renewed pipe, Aqua-Pipe reduces GHG emissions by 378 tons or 84% per rehabilitated mile of water main, compared to traditional open cut replacement. That amount doesn’t even include the GHG savings due to traffic detours and increased vehicle idling during a typical open cut, especially on game days. Sanexen Environmental Services Inc. (“Sanexen”), member of the LOGISTEC family, is one of Canada’s leading providers of environmental solutions including site remediation, manufacturing of woven hoses and trenchless structural rehabilitation of underground water mains. From the onset, Sanexen has assisted industrial, municipal and governmental customers in dealing with environmental issues to deliver optimal value solutions that are best adapted to their specific needs. Over the past 18 years, Sanexen has developed considerable expertise and an impressive intellectual property portfolio with respect to its innovative Aqua-Pipe technology for the structural rehabilitation of underground water mains. Sanexen has installed more than 1,600 km of its Aqua-Pipe Trenchless Structural CIPP Technology in over 350 cities in North America, helping them improve their water main network performance and reduce their maintenance costs. LOGISTEC Corporation (“LOGISTEC”) is based in Montréal (QC) and provides specialized services in both the marine and environmental sectors. Environmental services are offered through Sanexen and FER-PAL Construction Ltd. Marine services are offered in the areas of bulk, break-bulk and container cargo handling in 37 ports and 61 terminals across North America. LOGISTEC also offers marine transportation services geared primarily to the Arctic coastal trade, as well as marine agency services to foreign shipowners and operators serving the Canadian market.